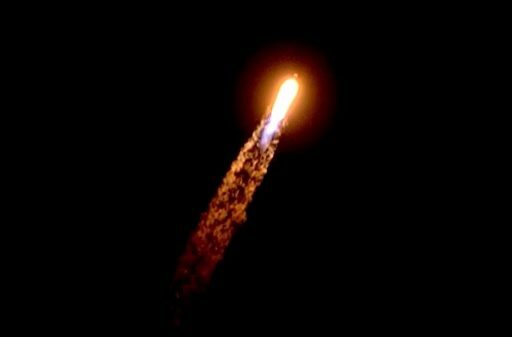 SpaceX’s 50th Falcon 9 rocket lit up the sky over Florida’s Space Coast after a midnight-hour liftoff from Cape Canaveral on Tuesday, blasting into orbit on a heavy-loaded mission with the Hispasat 30W-6 multi-purpose communications satellite. 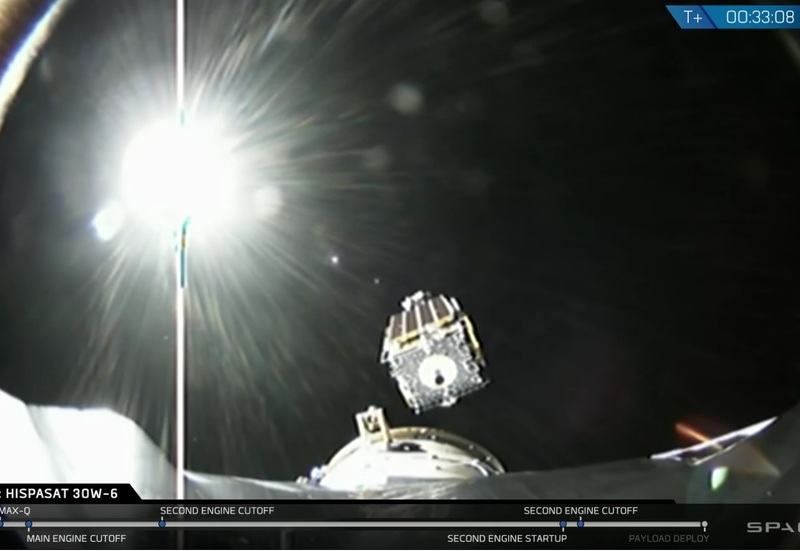 Falcon 9 – forced to switch from a planned Drone Ship Recovery into fully expendable mode on short notice – lifted off at 5:33 UTC, 12:33 a.m. local time on its second-heaviest Geostationary Transfer Orbit mission to date. Departing Florida to the east, Falcon 9 fired its factory-new first stage, Booster 1044, for the first two minutes and 35 seconds of the flight before it dropped away and headed toward a watery grave in the Atlantic Ocean as SpaceX’s Autonomous Spaceport Drone Ship was forced to sit this mission out in port due to rough seas in the recovery area. After the single-use first stage fell away, Falcon 9 relied on its MVac engine for the boost into a Preliminary Parking Orbit followed by a critical re-start to send the six-metric-ton Hispasat spacecraft off into its desired elliptical transfer orbit 33 minutes after liftoff for a 15-year mission delivering telecommunications to Europe and the Americas. Putting the check-mark behind its 50th mission on Tuesday, SpaceX’s Falcon 9 reached this notable milestone earlier than a number of other U.S. launch vehicles including the Space Shuttle and Falcon’s primary rival Atlas V. Tuesday’s mission came less than eight years after the first Falcon 9 rocket took to the skies from the very same Cape Canaveral launch pad in June 2010 with a Dragon Spacecraft Qualification Unit to pave the way toward operational orbital resupply missions and eventual crewed flight. However, Tuesday’s mission employed a very different animal than the 2010 flight as the Falcon 9 Full-Thrust version represents the third major revision of the Falcon 9 design, leaving little resemblance to the original v1.0 version with its tic-tac-toe engine arrangement and parachute-based booster recovery system that never worked as intended. SpaceX is currently working on bringing the final iteration of the partially reusable Falcon 9 rocket, known as the Block 5, to the launch pad to begin flying in a frozen design in order to receive human launch certification from NASA. Tuesday’s launch marked SpaceX’s fifth mission of 2018, following up on three flights of the Falcon 9 and the long-awaited debut of the heavy-lift Falcon Heavy rocket. 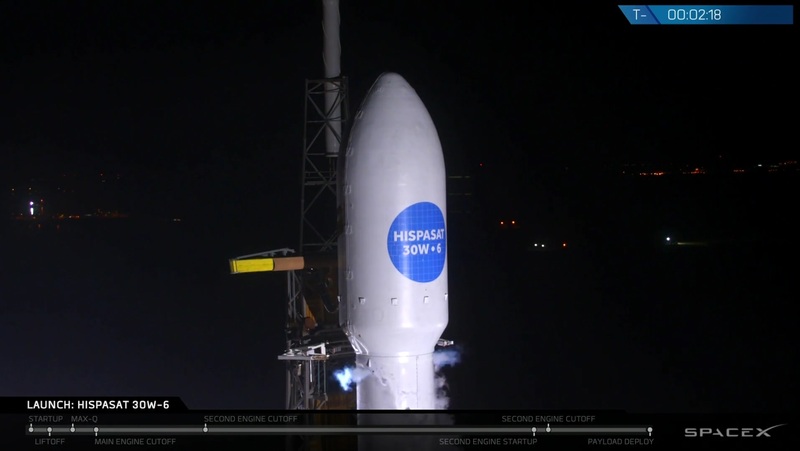 It also marked the second SpaceX mission in a row for a Spanish satellite endeavor, coming after the February 22 mission with the PAZ radar satellite operated by Hisdesat for which Hispasat is the largest shareholder. Founded in 1989, Hispasat operates a fleet of satellites in Geostationary Orbit to deliver telecommunications services to Europe and the Americas via two prime orbital locations at 30 and and 61 degrees West. Tuesday’s launch brought Hispasat’s current GEO fleet to eight satellites plus leased capacity on three third-party satellites to deliver the full spectrum of communication services. 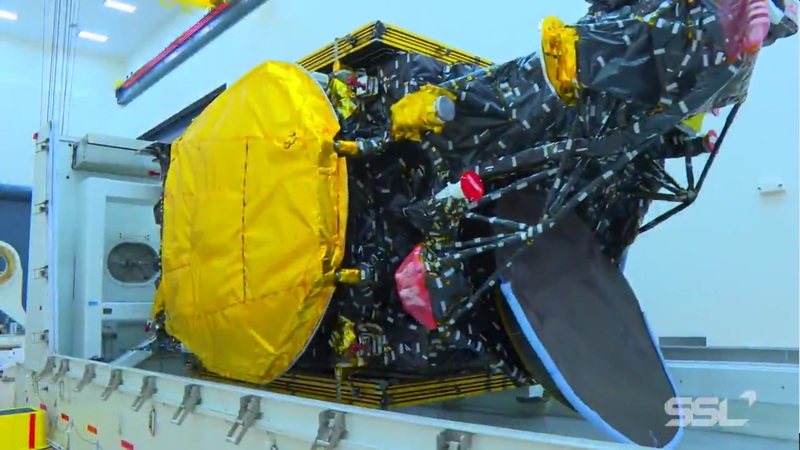 Hispasat ordered the 30W-6 satellite, back then named Hispasat 1F, from California-based satellite builder Space Systems Loral in July 2014 to provide replacement and expansion coverage for a pair of aging satellites: the 18-year old Hispasat 1C and Hispasat 1D launched in 2002, both all-Ku-Band satellites operated from the 30°W orbital slot for European & American coverage. 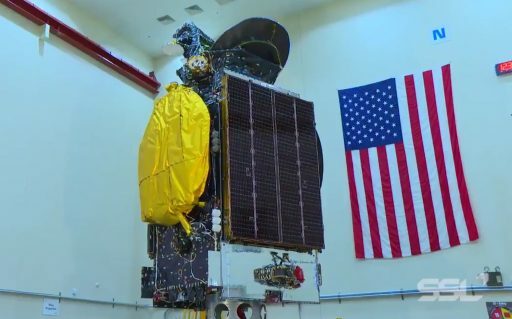 Owed to the use of modern-day communications technology, Hispasat 30W-6 can provide full replacement coverage for the two heritage satellites plus expansion capacity for Hispasat’s markets in the Andean Region as well as the company’s transatlantic connectivity. 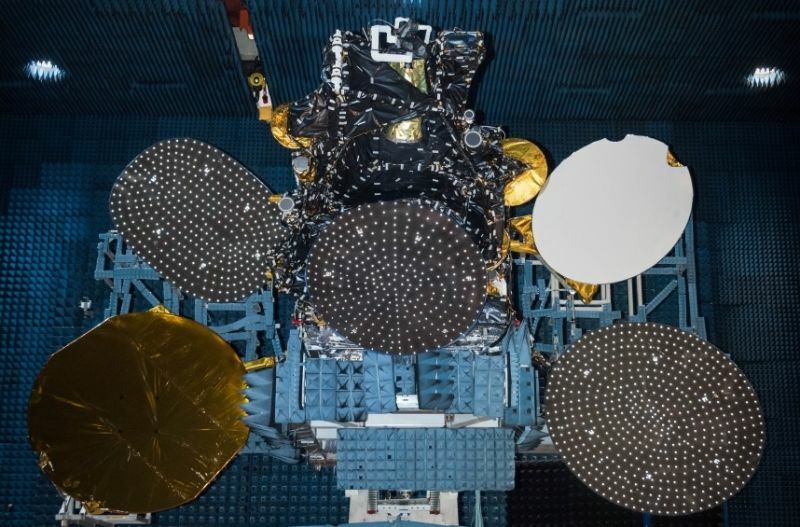 The 6,092-Kilogram Hispasat 30W-6 satellite will operate alongside 30W-5 that launched in 2010, delivering direct-to-home television broadcasting, Internet connectivity and corporate networking via a powerful multi-band communications payload. Hispasat 30W-6 hosts 40 Ku-Band transponders delivering capacity to two major coverage zones over Europe and the Americas, ten C-Band transponders provide coverage to the Caribbean Sea, the United States and South America, six high-throughput Ka-Band beams support data-intensive services across the Iberian Peninsula, North Africa and Central Europe, and a Ka-Band broadcasting beam is focused on Spain and Portugal. 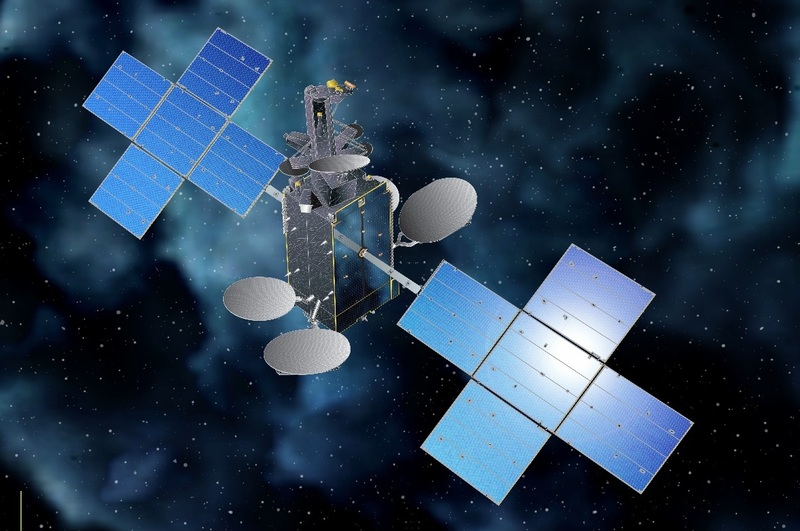 Hispasat 30W-6, leveraging the flight-proven SS/L-1300 satellite platform, is set for a mission of at least 15 years, holding 3,469 Kilograms of propellant for its climb into Geostationary Orbit and stationkeeping maneuvers, assisted by an electric propulsion system that may enable the satellite to operate beyond its planned service life if systems health permits. 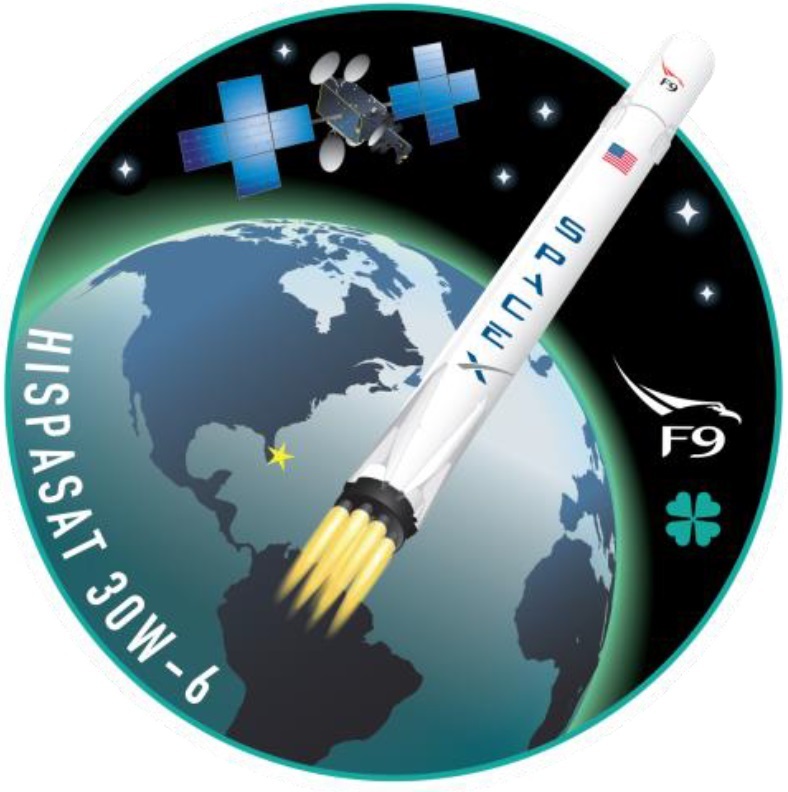 The Hispasat 30W-6 launch was originally set for February 25, but had to be pushed – first due to additional time needed for pressurization testing on the rocket’s payload fairing and then due to a conflict on the Eastern Range with the Atlas V rocket launching NOAA’s GOES-S weather satellite last Thursday. 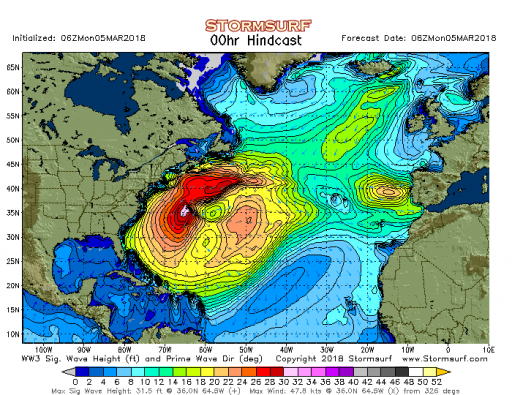 This put SpaceX in the undesirable situation of having a recoverable Falcon 9 rocket ready for launch while the company’s Drone Ship was sitting moored up in Port Canaveral, unable to deploy to the landing zone due to sea swells in excess of six meters caused by a powerful Atlantic low. SpaceX made a decision late on Sunday to press ahead with Tuesday’s launch to get the Falcon 9 off the pad even if that meant throwing away the rocket’s Block 4 first stage and along with it a perfectly good set of titanium grid fins SpaceX CEO Elon Musk noted were expensive and difficult to manufacture. Factoring into SpaceX’s decision-making process was the week’s weather forecast, predicting deteriorating conditions after Tuesday’s launch slot plus the low probability of success of the booster’s planned landing given the extremely tight propellant margins of this particular mission with a 6.1 t satellite headed to GTO. Without sufficient time to remove the landing hardware on the first stage or change the flight profile, SpaceX decided to fly the mission as is – considering the fins and legs a total write-off while also not providing additional benefits to Hispasat 30W-6 in the form of a higher-energy injection. 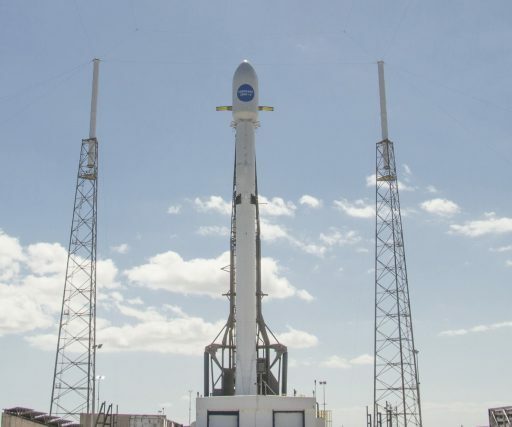 Towering 70 meters above the grounds of Space Launch Complex 40, Falcon 9 entered countdown operations Monday afternoon, starting with a multi-hour checkout campaign while teams at the launch pad buttoned up all ground systems before evacuating the danger zone for propellant loading. 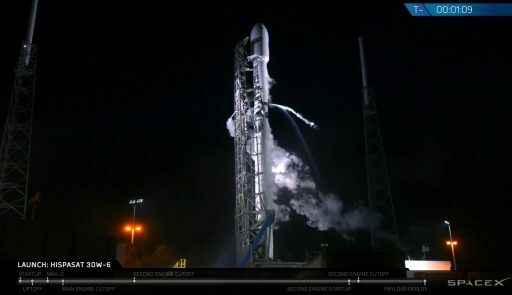 With pristine weather conditions forecast for Falcon’s nighttime launch window and no technical issues whatsoever, SpaceX Launch Controllers opted to press for the opening of the window and transitioned the countdown to automatic mode at the T-70-minute mark. As computers took control, Falcon 9 began loading up on hydrocarbons, receiving some 155 metric tons of chilled Rocket Propellant 1. 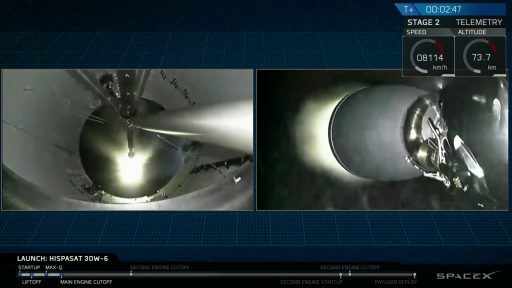 Sub-cooled Liquid Oxygen began flowing into the rocket’s first stage at T-35 minutes and 15 minutes later into the second stage to fill Falcon 9 with around 360 metric tons of oxidizer. The pace of countdown events accelerated at the T-7 minute mark when Hispasat 30W-6 had already transferred to internal power and Falcon 9 entered the chilldown of its nine Merlin 1D engines to condition them for ignition. 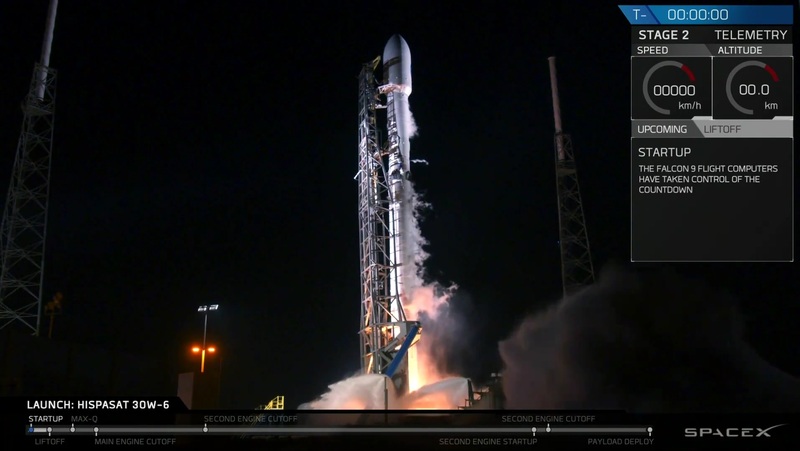 Over the final minutes of the count, Falcon 9 reached flight levels on all tanks, the Strongback was primed for its rapid kickback at the moment of hold-down release, the rocket transitioned to internal power and the Autonomous Flight Termination System was armed for launch. The green flash of Falcon’s TEA-TEB igniter mixture erupted from the engines at T-3 seconds as the nine Merlins throttled up to a collective launch thrust near 700 metric ton-force to lift the 550-ton Falcon 9 off the ground. 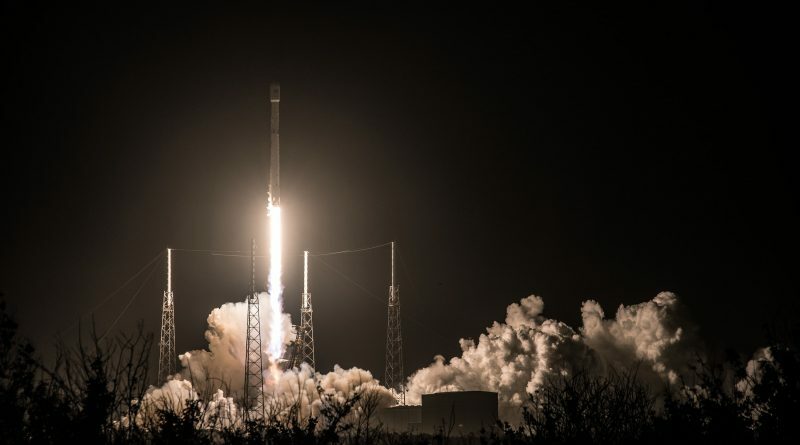 Falcon 9 took flight at precisely 5:33:00 UTC and pierced into crystal clear night skies over Cape Canaveral as it ascended vertically before pitching over onto a departure taking it east-south-east on the standard route to GTO. Consuming 2,450 Kilograms of propellant per second, Falcon 9 passed the speed of sound just over a minute into the flight and the nine engines entered a brief throttle-down around the point of Maximum Dynamic Pressure, marked at T+78 seconds into the flight. The first stage shut down its nine Merlin engines at T+ two minutes and 35 seconds after boosting the vehicle to a speed of 2.29 Kilometers per second – close to record MECO speed for a Falcon 9 flight with ASDS recovery margin. Four pneumatic pushers sent the two Falcon 9 stages on their opposite ways two seconds after MECO, passing an altitude of 70 Kilometers. 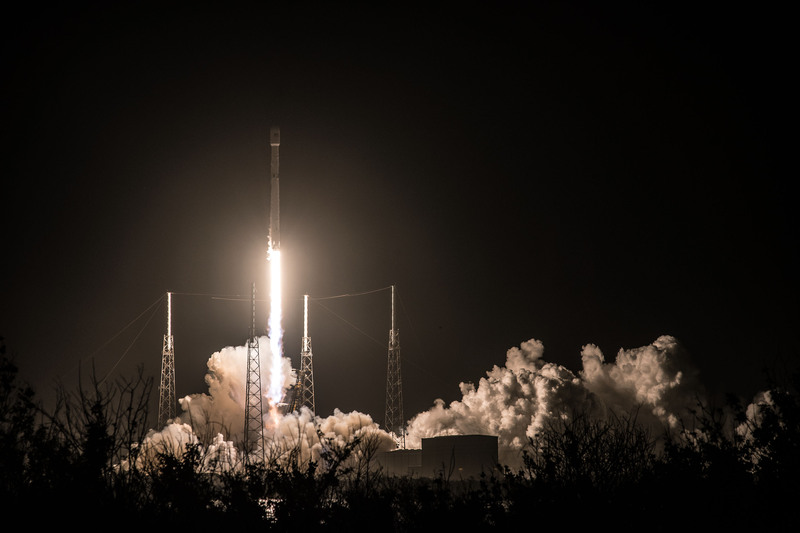 Because the flight profile for Tuesday’s mission remained unchanged, the first stage went through the motions of its recovery sequence – targeting the coordinates where SpaceX’s OCISLY ship would have been stationed in calmer weather. Following separation, the booster remained on a ballistic arc, re-orienting to an engines first position for the Entry Burn that began at T+6 minutes and 35 seconds and ran for 22 seconds to create a manageable re-entry toward the splashdown point. Because SpaceX had no recovery ships in the area, the live telemetry link with the first stage ended when the booster disappeared below the horizon as seen from Cape Canaveral. However, a Gulfstream jet belonging to Elon Musk was circling over the landing location – possibly in a bid to either visually observe the booster coming down or capture telemetry to gain additional data on the performance of the titanium grid fins and the do-or-die three-engine landing maneuver in performance-limited missions. For Stage 2, the mission continued with a six-minute boost into a Low Earth Parking Orbit by the 95,000kgf MVac engine and the stage dropped the payload fairing three minutes and 40 seconds into the flight when crossing 110 Kilometers in altitude. A good Parking Orbit was confirmed by SpaceX mission controllers as the second stage headed into 18 minutes of passive coasting to cross the Atlantic Ocean and perform the apogee boost around the equator to properly position the high point of the resulting orbit. Re-start of the MVac engine was called out at T+26 minutes and 46 seconds and the burn appeared to run for 54 seconds with the second stage actively throttling toward the end of the burn to maintain an acceleration of 5Gs. A very accurate orbit was confirmed by SpaceX and the second stage went into a transverse spin-up before sending Hispasat 30W-6 on its way at T+33 minutes to mark another success for SpaceX. Completing the fifth mission of its busy 2018 manifest, SpaceX will now begin a three-campaign effort at all of the company’s current launch pads. SLC-4E at California’s Vandenberg Air Force Base is expected to host the fifth launch in support of the Iridium-NEXT constellation on March 29; Cape Canaveral’s SLC-40 will next host the Dragon CRS-14 mission, currently tracking a five-minute launch window on April 2nd and LC-39A at the Kennedy Space Center has been converted back to support Falcon 9 and will be called up for the first Falcon 9 Block 5 launch with the Bangabandhu-1 communications satellite for Bangladesh, penciled in for No Earlier Than April 5.